The U.S. Court of Appeals for the Federal Circuit (CAFC) has decided a key remaining question in Novartis’ favor in its ongoing legal wrangle over how quickly it could bring biosimilars of Amgen drugs to market. The CAFC held that Novartis’ Sandoz unit cannot be compelled under any state law to give Amgen 180 days’ notice of launching a biosimilar version of Amgen’s leukocyte growth factor Neupogen® (filgrastim)—the “patent dance” provision of the Biologics Price Competition and Innovation Act (BPCIA)—since state laws cannot preempt federal laws. Amgen contended that Sandoz had waived its preemption defense to Amgen’s state law claims, and that state law remedies for applicants that fail to comply with the patent dance provision were not preempted by the BPCIA. Amgen also accused Sandoz of unlawful behavior by virtue of failing to comply with the BPCIA. Sandoz countered that Amgen was barred from making legal claims based on state law. The U.S. Department of Justice sided with Sandoz in an amicus curiae brief filed on September 11. “We agree with Sandoz that conflict preemption also bars Amgen’s state law claims. Contrary to Amgen’s assertions, its state law claims 'clash' with the BPCIA, and the differences in remedies between the federal scheme and state law claims support concluding that those claims are preempted,” the CAFC said in its 24-page decision, filed yesterday. 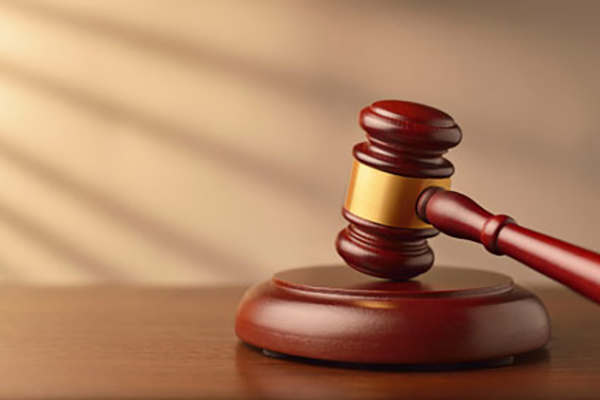 The CAFC had been remanded the case by the U.S. Supreme Court, which on June 12 ruled in favor of Novartis’ Sandoz unit by reversing an earlier CAFC decision that forced Sandoz to wait 180 days before it could launch Zarxio® (filgrastim-sndz), its biosimilar version of Amgen’s Neupogen. Zarxio gained the FDA’s first-ever approval of a biosimilar in March 2015, and it was launched in September of that year, indicated for five of Neupogen’s six indications. The only Neupogen indication not covered by Zarxio is increasing survival in patients acutely exposed to myelosuppressive doses of radiation (hematopoietic syndrome of acute radiation sickness). In 2015, the CAFC ruled that biosimilar developers must give the 180-day notice after FDA approval. That decision was reversed by the Supreme Court in a unanimous opinion written by Justice Clarence Thomas. The High Court held that the additional time amounted to six extra months of exclusivity on top of the 12 years granted to reference drug developers under the BPCIA. Novartis hailed yesterday’s CAFC decision in a statement. “This is an important win for patient access to life-changing biosimilar medication,” Novartis declared. “While reference medicine manufacturers will no doubt try and continue to use the legal system to create unnecessary and costly barriers that delay biosimilar approval or availability, this is one of several wins this year that prove the tide is turning for broad-based biosimilar access. “We look forward to working closely with other key stakeholders to advocate on behalf of patients and deliver on the access and value promise of biosimilar medicines,” Novartis added. Amgen continues to pursue its legal case against Sandoz in the Northern District of California, where it has asserted a manufacturing process patent, while Sandoz has asked the court for summary judgment and a limit to its exposure to damages. A summary judgment hearing has been set for Monday, to be followed by a trial set for March 26, 2018. As a result, Amgen still considers the case to be pending litigation—and thus will not comment on the CAFC decision, Amgen told GEN through a spokeswoman.